The village of Tarnoga of the Tarnoga district of the Vologda region, the 19th century. The bottom and backdrop are made of silk; headband is made of woolen fabric with hand embroidery of vegetable and flower ornament with brocade thread. 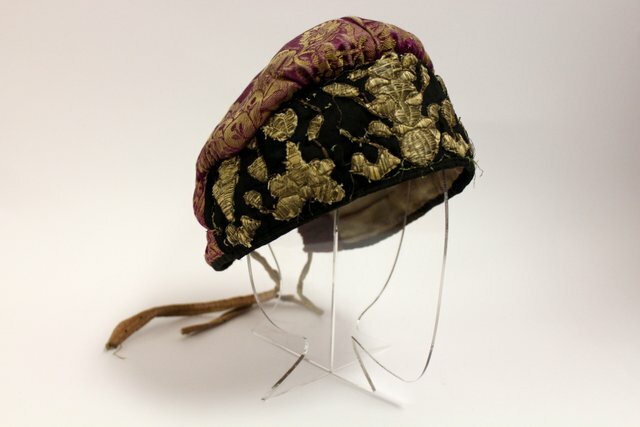 This type of headdress of a married woman is close to the common- in - Russia povoynik and sbornik, in fact, these are different names for the same type of skullcap, under which women used to hide hair. 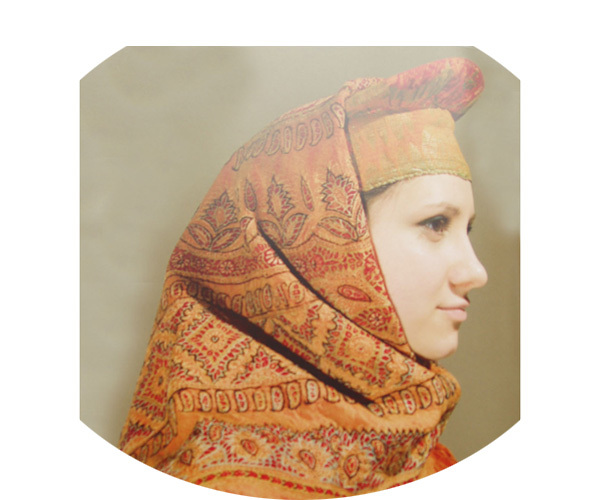 A characteristic feature of the borushko was the wide headband and elevation above the crown, secured by solid vertical front rollers, or “burs”, projecting forward frontal part of the bottom of the borushko is typical for the Northern and European parts of Russia and helped save the form of the headdress if a scarf had to be put on top. An incision was made at the back for a string to adjust the headdress to desired size.